The Maranatha Jersey herd was established in 1982 with 21 head of registered Jerseys. Through the years the cows and our family have grown and developed. We have experienced many changes and ups and downs together. They have blessed our family with a livelihood and a way of life. We are now milking 50 head at our new location near Cabool, Mo. Milking time in our double three herring bone parlor at our new location near Cabool, Missouri. 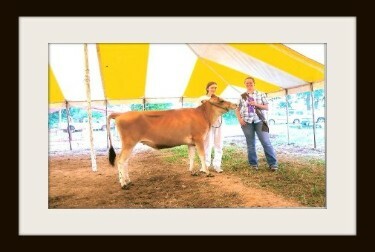 Hezekiah at the 2010 Webster County Fair showing one of our Jersey heifer calves. This was his first try at showing dairy cattle, having shown goats in the past. He decided he likes showing the cattle better and is looking forward to the coming show season. Rebecca and her cow, OA My Beautiful Americus USA 114520335. 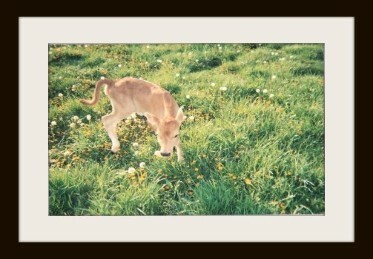 A Jersey calf frolicking as she celebrates her escape from her calf hutch. 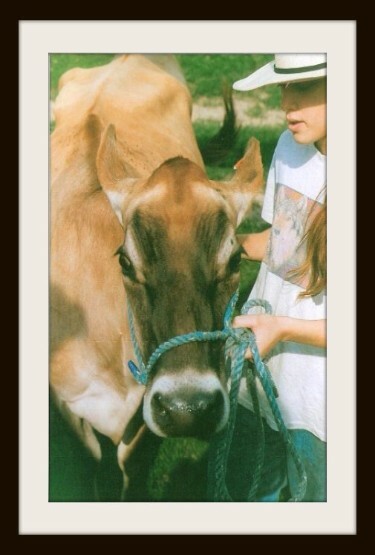 Shiloh is pictured here with her cow, PR Marines Heavenly Promise, who won Senior Champion Jersey, Grand Champion Jersey, and Reserve Supreme Champion at the 2009 Douglas County Fair. Her maternal sister OA My Miss Liberty won Reserve Supreme Champion at the 2006 Wright County Jr. Fair as a Jr Yearling and was 2007 Wright County Supreme Champion. 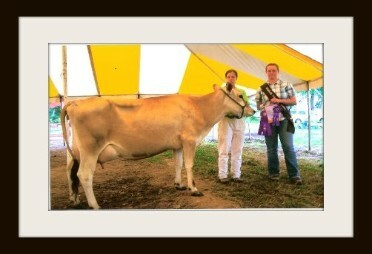 Rebecca is seen with Maranatha SF Fanja, who won Jr Champion Jersey at the 2009 Douglas County Fair. 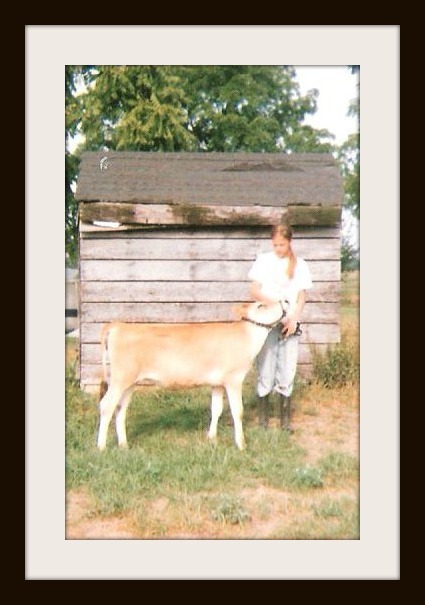 Shiloh with 4-H project calf OA My Miss Liberty USA114520401, born 4-10-2005. 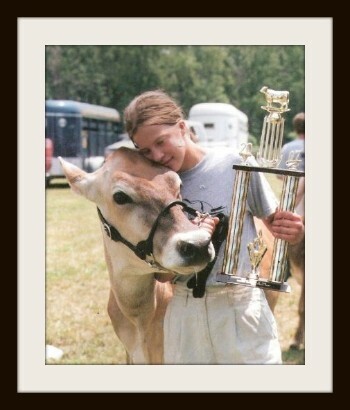 Here Shiloh is shown with Miss Liberty after winning Supreme Champion at the 2007 Wright County Jr Fair. 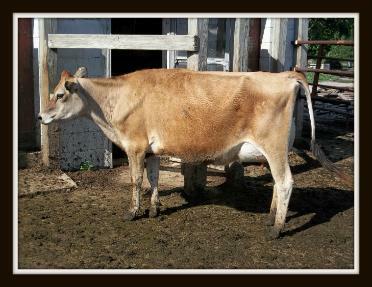 Shown above are two examples of the quality uddered first calf heifers we have recently calved out at Maranatha Farm. Another example of the quality first calf heifers we are milking at Maranatha Farm. 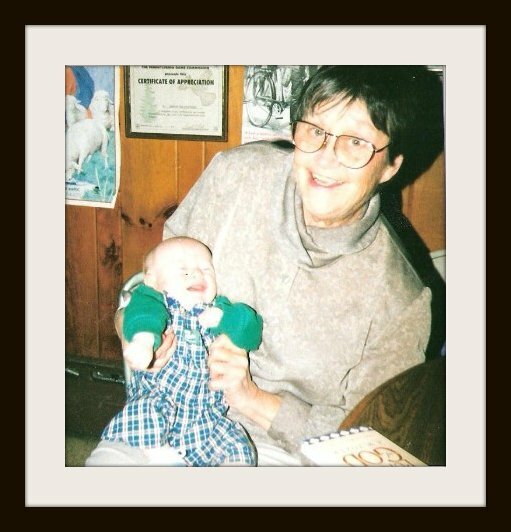 This page is dedicated in loving memory to my mother Barbra Joan Rice, who believed in us when no one else did. She took a second mortgage on her home to loan us the funds to purchase the heifers that would become the foundation of the Maranatha Jersey herd. Without her selfless help and trust that we could succeed, our dream of a family farm never would have come true.